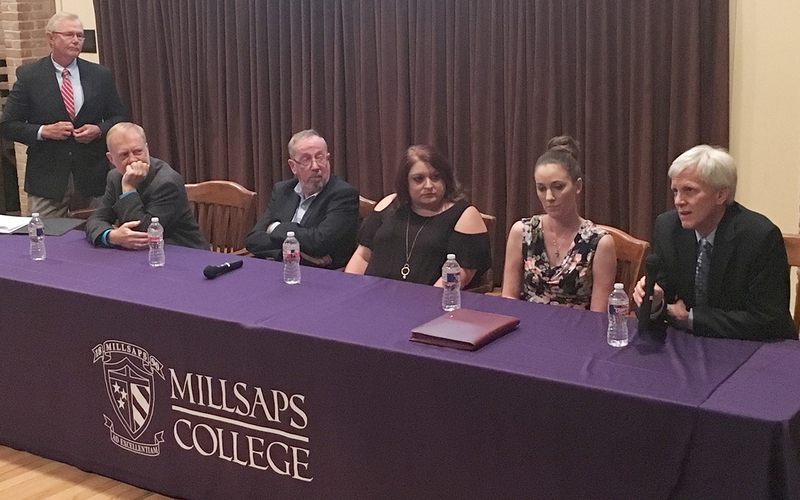 Five Mississippi journalists accepted awards for their reporting and reflected on it and the state of journalism at an event in Jackson Friday. Ray Mosby and Natalie Perkins of the Deer Creek Pilot in Rolling Fork and Jerry Mitchell of The Clarion-Ledger in Jackson won the Bill Minor Prize for Investigative Journalism, and Jamie Patterson of The Yazoo Herald and Tim Kalich of The Greenwood Commonwealth won the Minor Prize for General News Reporting. Bill Minor, who died in March at 94, was a longtime Mississippi statehouse correspondent for The Times-Picayune in New Orleans and later a syndicated political columnist. "Kalich was honored for a 2016 jailhouse interview with Edgar Ray Killen, convicted in the murders of civil-rights workers James Chaney, Andrew Goodman, and Michael Schwerner during the Freedom Summer of 1964," Bruce reports. "Kalich said the interview took place at the behest of Killen, who previously has had a not surprisingly combative relationship with the press. “He wrote me a letter and said he liked our newspaper,” Kalich said. “I don’t know what that says about our newspaper.” His four-hour interview "was complicated by the rambling nature of Killen’s responses and the fact the state penitentiary at Parchman, where the interview was conducted does not allow any outside materials to be brought inside," not even paper. "Patterson’s award-winning entry saw its genesis in two residents who turned to the local newspaper for help" because they had bought properties that the city had deemed a nuisance. “They later found out unpaid bills for cleanup, of $17,000 for one and $30,000 for the other, had been attached the land.” It was a complete surprise, Patterson said, adding that her investigation found “chaos” in the city’s recordkeeping.